It’s hard to believe I’m back home in Sydney after a whirlwind and adventurous trip to Japan. For 12 days, I pounded the pavement and crammed in as much as possible in Tokyo, Kyoto, Osaka and Hiroshima. As I look at my half packed suitcase in my office, it’s hard to believe I’ll be back on a plane again tomorrow exploring a new destination with a completely different climate with STA Travel and Tourism Australia - the Northern Territory in Australia with current temperatures reaching 33 degrees. 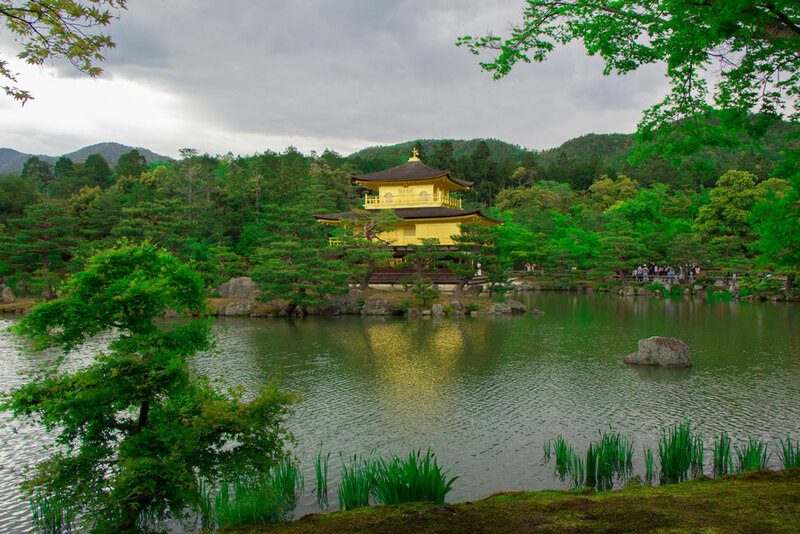 Before I jet off, I thought I would share some quick travel highlights of my time in Kyoto. Located on the island of Honshu with a much smaller population than Tokyo of 1.5 million people, Kyoto used to be the capital city of Japan, is the country’s seventh largest city, and is known for its thousands of temples and otherworldly Geisha. I spent four days in Kyoto exploring the historic city including Kinkakuji Temple (otherwise known at the Golden Pavillion), walked the Philosopher’s Path to Higashiyama, learned traditional pottery and made my own tall cup using clay, spotted a traditional Geisha in Gion (made famous by the book Memoirs of a Geisha), walked around Nijo Castle in the pouring rain, visited Kiyomizu-dera Temple (otherwise known as the Water Temple), got some zen time at the rock garden at Ryoan-ji Temple, and visited Kinkakuji’s sister temple Ginkakuji (otherwise known as the Silver Pavillion). I also went on a day trip to Arashiyama where I rode a bicycle around the gorgeous district and explored the jaw dropping bamboo grove, Togetsukyo Bridge and Saga-Torimoto preserved street. More on these destinations coming soon to Mr Weekender, so stay tuned!